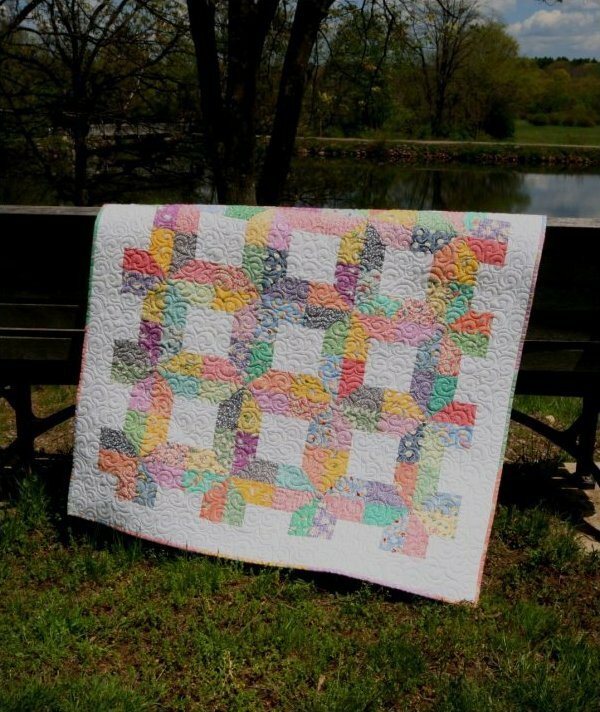 Combine 80 assorted 5" charms with simple piecing for a baby quilt - 38"X 46". Or use a variety of FQ, 1/4 yd or layer cakes. 8 FQ will yield 10 charms & extra for scrappy binding. Simplified instructions for the set-in "Y" seam.